We designed a home for a family in Chapel Hill, NC last year. We had a great time working with our client (you have to love great client) and Dixon Kirby the architect/builder. I will break this home up into a few posts. This first post includes the foyer, dining room, gallery, and ,my favorite, the music room. We loved the mix of traditional and modern in this home designed for a great family. You can imagine the music room with one of the children taking piano lessons or a chic cocktail party. That is what is why we love this house so much. It’s design straddles the line of elegance and livability. Take a look for yourself on our blog or pick up a copy of Southern Home magazine where the house is featured in their spring issue! Watch for the follow up posts on this home! It is that time! Book giveaway time! 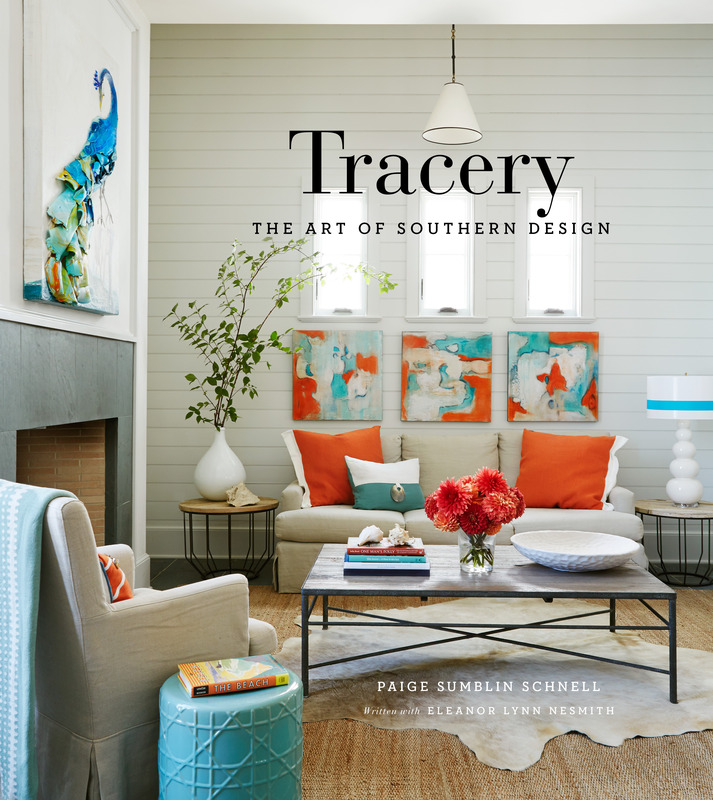 We are giving away 2 copies of our new Tracery book! If you would like a chance to win a copy of the book this is what you need to do…. Just comment here what your favorite book is of all times! It can be a novel, biography, coffee table book, etc. Just tell us and then next Friday April 3rd we will pick 2 winners! Good Luck! James Farmer Book Signing Event! 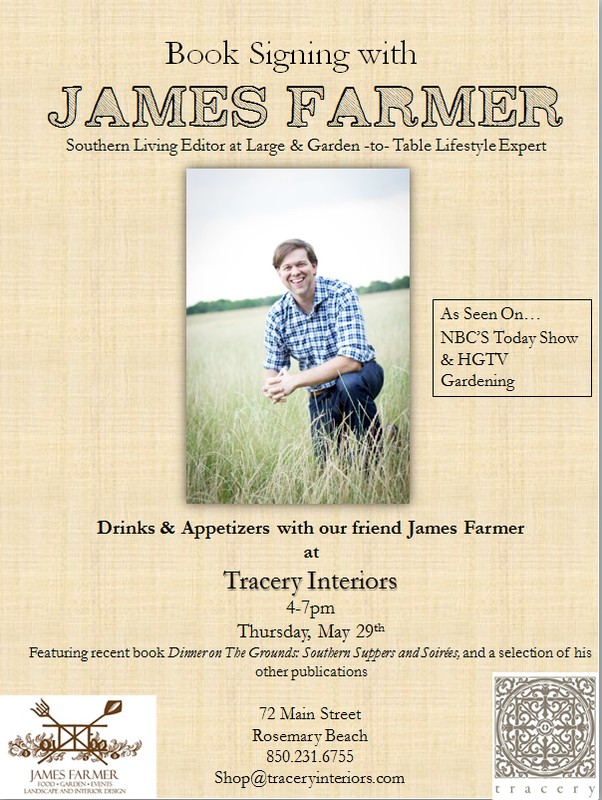 In the shop at Rosemary Beach we’re hosting a book signing featuring James Farmer; author, Southern Living editor, Garden -to- table lifestyle expert, landscape designer, cook, farmer – you name it he probably does it, and does it best! We are having drinks and appetizers and will be selling his newest book Dinner on The Grounds: Southern Suppers and Soirees, and a selection of his other publications. We are very excited to have him in and hope you all can make it out! The event is next Thursday, May 29th from 4-7 pm.